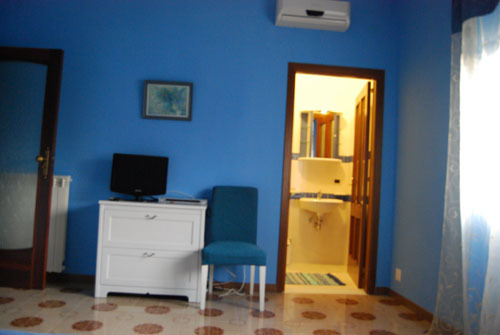 Arcobaleno B&B appears to our guests as a quiet getaway in the heart of Naples where you can spend a pleasant stay and welcome in a warm and comfortable. Our B&B is placed in an extremely strategic location: it is easily reached by Capodichino airport, station or motorway and is near all the major artistic and cultural attractions in Naples. 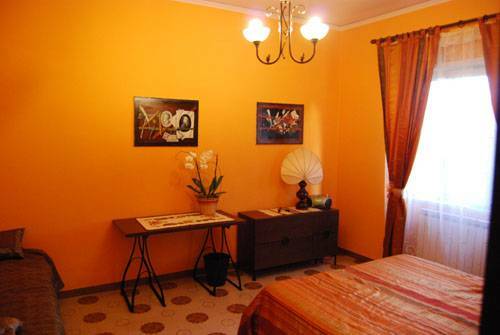 The B&B is a few minutes from two important museums: the National Archeological Museum and the Capodimonte Museum. The Bed and Breakfast is located on the 4th floor of an elegant palace recently restructured with elevator. It consists of a spacious entrance hall, kitchen and has 1 suite (up to 3 beds) with private bathroom and other 2 bedrooms (double + triple) with large bathroom in common. The 3 rooms, furnished in a sober and elegant, equipped with digital plasma TV, air conditioning, heating, Wi-Fi, free entrance, soundproof doors, hair dryer, complimentary toiletries and towels. 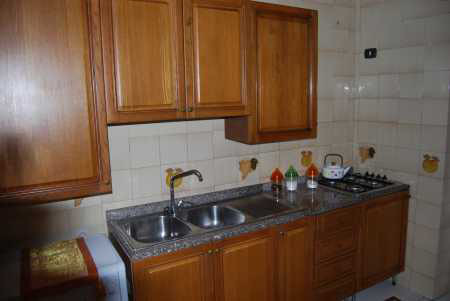 The kitchen is fully equipped with fridge and washing machine. For those traveling by car, in the immediate vicinity is willing to pay a garage. and the underground line 2 in Naples (Garibaldi Station-Museum-Mergellina-Campi Flegrei-Bagnoli) Cavour stop, not far from the heart of the historical center of Naples. The B & B is located in one of the most scenic and peaceful city. The Bed and Breakfast is located on the 4th floor of an elegant palace recently restructured with elevator. It consists of a spacious entrance hall, kitchen and has 1 suite (up to 3 beds) with private bathroom and other 2 bedrooms (double + triple) with large bathroom in common. The 3 rooms, furnished in a sober and elegant, equipped with digital plasma TV, air conditioning, heating, Wi-Fi, free entrance, soundproof doors, hair dryer, complimentary toiletries and towels. From all rooms you can admire the stunning scenery of the Gulf of Naples: it dominates the harbor with its ships and ferry traffic, the Sorrento peninsula and on fine days on the island of Capri. Arcobaleno B&B is placed in an extremely strategic location: it is easily reached by airport, station or motorway and is near all the major artistic and cultural attractions in Naples. The B&B is a few minutes from two important museums: the National Archeological Museum, which holds the entire collection of finds from the Borbone dynasty and the Capodimonte Museum, with works of art from Michelangelo, Tiziano, El Greco, Raffaello, Botticelli. Via Toledo is very characteristic, the heart of the Spanish Quarters and is easily reached from the B&B. Umberto I Gallery is found at the end of this street. A short distance away, one can admire the San Carlo Theatre, one of the oldest in Europe and the splendid Royal Palace surrounded by beautiful gardens. Other places not to be missed are Maschio Angioino, Castel Sant'Elmo and Castel dell'Ovo, the Dome and Via San Gregorio Armeno, which are a short distance from the B&B. 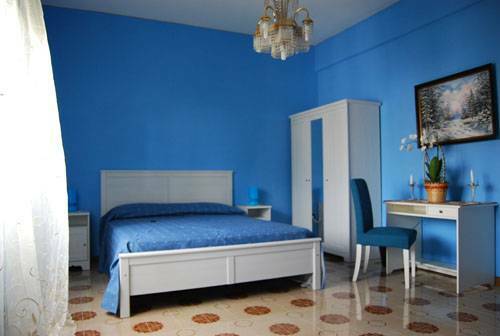 B&B Naples Arcobaleno is placed in an extremely strategic location: it is easily reached by Capodichino airport, station or motorway and is near all the major artistic and cultural attractions in Naples. A rainbow in the middle of Museums ... just a few steps from the Museo Nazionale of Capodimonte and the National Archaeological Museum. You must know that B & B Arcobaleno is located a few steps from the metro line 1 in Naples (Museo-Vomero-Piazza Dante) stop at the Museum, and the underground line 2 in Naples (Stazione Garibaldi Museum Mergellina-Campi Flegrei-Bagnoli) stop Cavour, not far from the heart of the historical center of Naples. 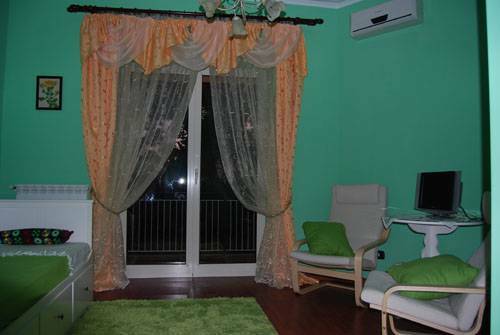 The B&B is located in one of the most scenic and quiet city of Naples. Nearest airport: Capodichino Airport 3 km.